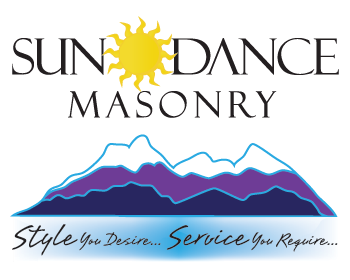 At Sundance Masonry, you’ll find The Style you Desire… The Service You Require. We strive to provide the best in masonry design and construction. Collaborating with our clients we create dream designs using only the finest materials available. Our residential and commercial clients benefit from our exceptional craftsmanship and our ability to create innovative, unforgettable designs that stand the test of time. We want you to know just what to expect before you hire us. From your first phone call to our friendly office staff, to the moment when we finish cleaning up the worksite, when you choose to work with Sundance Masonry, there are no surprises. Owners Greg and Kate Manke personally lead their team to ensure that each and every client is treated with friendliness and respect, and is left satisfied after every interaction with our team. Pick up the phone today and call us at 719-528-1243. We’ll ask you a few questions to get to know what you have in mind, and we’ll answer any questions you may have about us. Then, we’ll set up a convenient time for owner Greg Manke to come to your home or business to personally see the worksite and discuss your options for design and materials. Would you like natural stone? Brick? Eldorado Stone™? Stucco? A new outdoor fireplace, or just restoration of some old stone steps? Whatever your needs – we’ll figure it out together. Designing Your Project! Before we send you an estimate, it’s time to have some fun with the design for your project. Greg will work closely with you to create sketches of the work and select the right of type of materials for the job. Part of our service is to give you our most creative ideas, then let you decide which work best for your family, your business, and your budget. Within 2 business days of your consultation you’ll receive a proposal from us outlining the design, materials, cost, and estimated time for the completion of your project. You’ve read our customer testimonials, you’ve checked our references, and you’ve compared us to the competition. 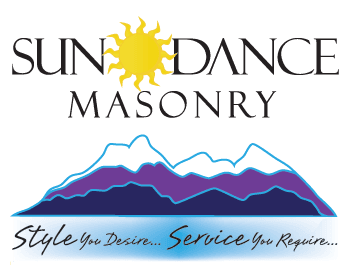 We’re confident you’ll like what you see in Sundance Masonry. If you agree, simply call us to finalize the plans for construction on your masonry project. We will not begin construction until you are completely satisfied with and committed to your design. You’ll receive our utmost attention while we figure out the details, and we’ll keep working on it until you’re happy. And if you want to change something after the work has started, we can easily make changes to your proposal so everything is built to your exact specifications. We only want to build a project that you’re going to love! Now that you’ve signed your proposal and finalized your design, we schedule a date to get started. This date depends on a few factors – your preferences, our schedule of other projects, and the delivery of materials, which we’ll order as soon as the design is finalized. This is where we get to have our fun. We come to your home or business and get down to making your vision a reality while you relax and enjoy the process. With Sundance Masonry, you will never have to worry if we’ll show up – we will not only show up each day, but we’ll be on time and prepared to make significant progress. Each day that we’re on site, we keep your property clean and organized. Right down to the last chisel, our tools and equipment will always be left organized at the end of the day. Indoor areas will be protected with floor to ceiling plastic sheets to keep dust from traveling, and you’ll never see our work trucks parked in your driveway. Our loyal staff will always be professional and respectful of you and your property, and safety is an integral part of our company culture. While we’re working, if you have any questions about our progress, just ask! We’ll be happy to walk you through the process. Now that the project is complete, we’ve cleaned up all the tools and dust, and you’re smiling from ear to ear, we can wrap up all the paperwork and have you sign off on the project. For the next year, our warranty will be in effect – any defects in our craftsmanship or materials will be corrected within days of your letting us know – or we’ll pay for it. Your happiness with our work is the best measure of success we know, and we’ll go the extra mile to ensure it.